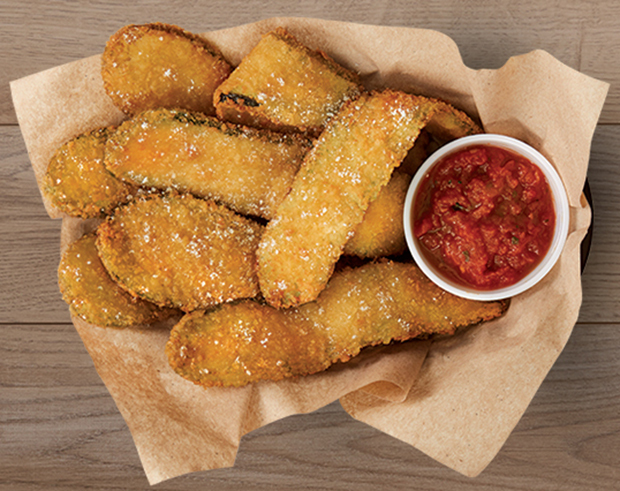 Our Zucchini Appetizer is no ordinary meal starter. Did you know that it’s hand-breaded daily in our restaurants? We make it with fresh zucchini that we’ve received from our local partners through our FarmSource program. Bring it (or any of your family’s favorite picks) home to enjoy and use the coupon code below to take $3 off your $20 online order! To redeem this offer, enter the coupon code "FarmSource" during checkout when you place your online order. Coupon code valid Wednesday, July 25 – Sunday, July 29, 2018.